A leading supplier of metal and woodworking machinery to North America, Macoser Inc. has offered the Stromab line of crosscut saws to the pallet industry for a few years. It is expanding its product mix to include pallet assembly machines from Delta. 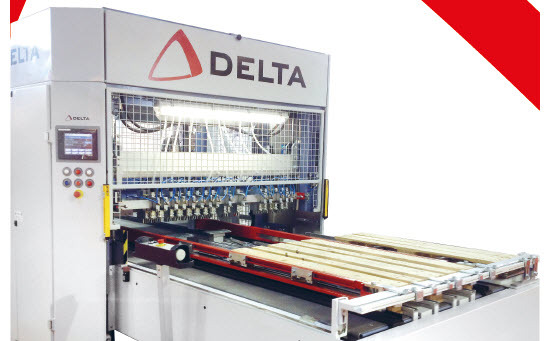 DELTA offers pallet nailing machines that can produce a variety of configurations to meet the customer needs. Machines range from a single operator making 200+ pallets per shift to systems that are capable of producing 800-900 units per shift. Delta has developed an Energy Saving System designed to cut energy cost by up to 50%. To find out more about these new lines for North America, call Macoser at 704-392-0110 or visit www.macoser.com.